“Don’t knock it until you’ve tried it” can be good advice in some situations, like when you’re wary of trying a new ice cream flavour. When deciding whether to overhaul your current customer service support system—not so much. We know selecting and adopting new software can be a hard choice, and sometimes also a tough sell to upper management. That’s why we commissioned Forrester to survey our customers about the value they’ve seen from using Zendesk products. In addition to Forrester’s report, The Total Economic Impact of Zendesk, results were shared in a 30-minute webinar, “From Cost Center to Profit Center: the Potential ROI of Zendesk.” The webinar provides two unique perspectives on the outcomes of implementing Zendesk. Ian Jacobs, a senior analyst at Forrester, gives context surrounding industry trends while Kyle Largent, customer care fraud prevention at New Balance, offers a customer viewpoint. While the numbers in the report are alluring—a potential ROI of 365% over three years, for one—Jacobs and Largent also cover impacts of using Zendesk that go beyond just metrics. Here are three insights you’ll take away from their presentation. Customer service agents are there to help. However, when their support tools are out-of-date and hard to use, their jobs become more difficult, more costly, and their unhappiness can directly translate to customer unhappiness. Largent, in his role at New Balance, noticed a transformation in agent experience after Zendesk was set up. In an industry where turnover is extremely common, New Balance managed to virtually eliminate agent churn due to the ease of use and reliability that Zendesk has provided to their customer service staff. The bottom line: internal improvements, like agent retention, led to more visible measures of success, like faster support and more effective self-service. Zendesk saves you both. The Forrester report and accompanying webinar defined five risk-adjusted benefits of using Zendesk. Along with savings in productivity and efficiency, economic returns were also realised from Zendesk’s lower maintenance and licensing costs. Jacobs and Largent attributed this to the flexibility and self-contained nature of Zendesk Support. For example, rather than having to reach out to IT or outside services for every little change that needs to be made, admins are able to go in and make adjustments in real time, no dedicated staff required. 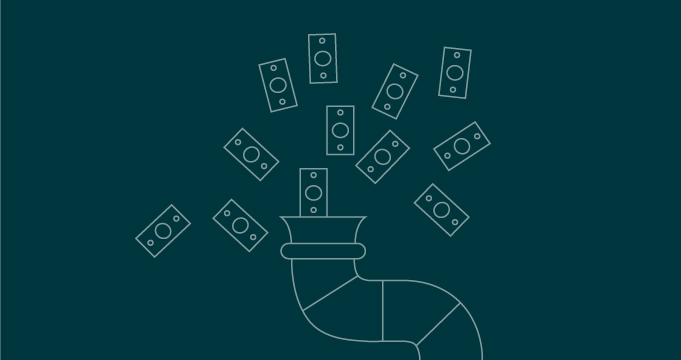 To learn more, read the Forrester report, The Total Economic Impact of Zendesk, and watch the accompanying webinar, From Cost Center to Profit Center: the Potential ROI of Zendesk.